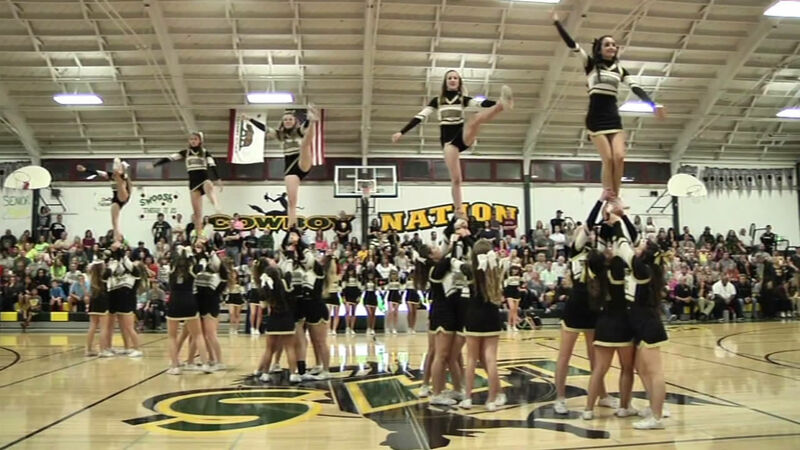 SACRAMENTO, Calif. (KGO) -- California state lawmakers have sent a bill to Governor Brown's desk that would recognize cheerleading as an official high school sport. Democratic assemblywoman Lorena Gonzalez of San Diego says at least eight other states treat competitive cheerleading as a sport. Assembly Bill 949, known as the California High Schools Expanding Equality Respect and Safety (C.H.E.E.R.S.) Act, requires the California Department of Education to develop guidelines, procedures, and safety standards with the California Interscholastic Federation (CIF) for high school cheerleading. Additionally, AB 949 will allow student athletes that participate in cheerleading to earn physical education credit for their competition cheerleading activities, which is currently afforded to athletes of other CIF sports. Formal recognition also means consistent safety rules and training for coaches.